Whether it is a speaker or a smartphone, the use of the voice search is increasing rapidly. The advent of personal assistant apps like Siri, Google Now, and Cortana have made it a lot easier for smartphone users to perform voice search and get accurate answers to their queries. Leading research companies predict that between 30% and 50% of all searches will be carried out by voice by 2020. Now is the time for brands to create a voice search optimization strategy to move ahead. According to Mary MeekerVoice and image searches are probably going to contribute at least half of all searches by 2020. It is therefore in the interests of websites to adapt to this seismic shift, which can be expected in the coming years from text search to voice search. 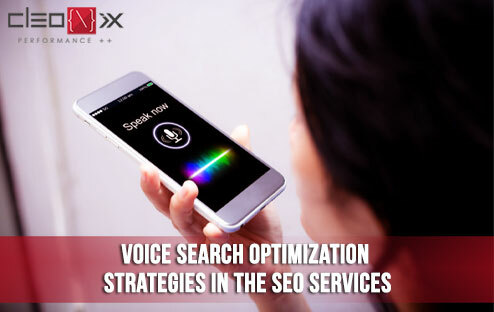 Efforts to optimize Voice Search must be based on the micro-moments in which an online user typically executes a search query. If you haven’t already, then you must add FAQs on your website to manage basic inquiries your target audience might have. Online searches can be broadly categorized into the following three types: Navigational, Informational, Transactional. By addressing the What, Where, When, Why, and How in your FAQs around these three search types can help you provide the most accurate information for someone using a PC or voice search application. The fact that voice searches focus on natural language increases the number of queries for search engines. Any good digital marketing agency will emphasize the importance of optimizing the website by including these keywords for long- term use. Voice-based search queries are a boon for companies relying on local search traffic. More than half of the USA Teenagers and 41 percent of American Adults use voice search every day in accordance with Northstar Research. Another fact is that a large number of voice searches are around navigational queries such as finding nearby/local businesses. It is therefore important to structure your content in order to address this increase in local search queries. It means while optimizing your web content, you must make it a point to include all business locations, nearby attractions, landmarks, phone numbers, store hours, etc. Google’s 2013 Hummingbird update was a breakthrough in how Google responded to queries typed on its interface or spoken about it. This update dealt with the intent to understand conversational search queries. Conversational questions for virtual personal assistants are increasing, as the Mary Meeker trends report shows that almost 70 percent of Google Assistant requests are in natural/conversational languages. A conversational question that you put to a personal assistant on your smartphone, therefore, tends to be more specific. The fact that most searches are carried out by people on the go makes it important to make sure that your website is good and effectively fast. Test a page load to see if your site loads quickly on all browsers and devices. Google has recently added 8 additional Indian languages to voice search. The next wave of internet adoption will come from Indian regional language internet users which are expected to grow at a CAGR of 18% to reach 536 million by 2021 in comparison to the English internet user base growing at 3% to reach 199 million, as per an April 2017 Google-KPMG study. You need a search engine optimization and digital marketing agency that is always on top of such updates in a proactive but not reactive manner. From online reputation management to app store optimization and a lot more, at Cleonix Technologies we have scaled every peak there is in the digital ecosystem and have proven credentials to deliver the best digital solutions for your business.